Nestled in the foothills of the Pyrenees mountain range, in Somontano, the Las Bas vineyards are some of the northernmost in Spain. Located at approximately 2,952 feet above sea level. “Somontano” can be translated as “the beginning of the mountain”, as the region sits in the shadow of the foothills of the Pyrenees. The area has been planted with vineyards since Roman times. Approximately 20 miles from the border with France, Somontano became home to many French winemakers during the 19th century, who brought their own vines with them. It is for this reason that Merlot, Pinot Noir and Gewürtztraminer can now be found in the area. The Las Bas Garnacha is cultivated in D.O. Calatayud. 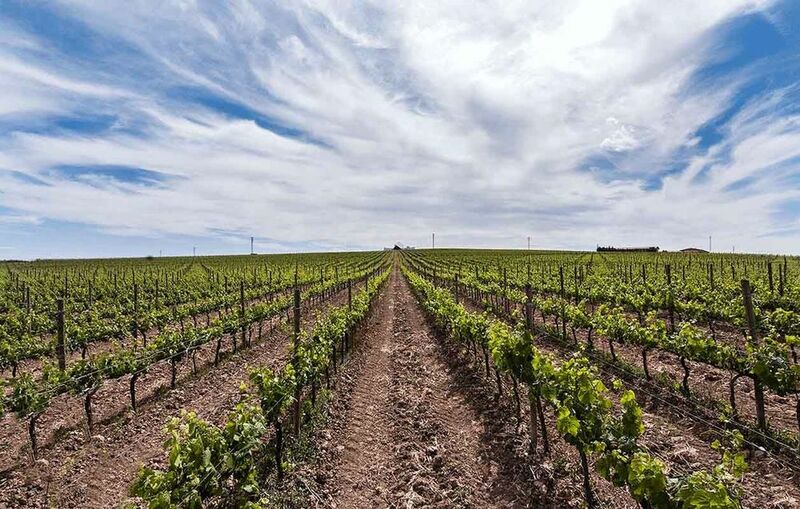 The region is perfectly suited to the cultivation of vines. It enjoys a continental climate, sheltered by the Pyrenees Mountains from cold, northern winds. The soil is poor in organic material, with good drainage and the temperatures fluctuate significantly between night and day. The vineyards are dry farmed and the grapes are hand harvested at night to avoid the heat. They are then transported to the winery in airtight containers. Once they arrive at the winery, the grapes are carefully unloaded to avoid being crushed. The winemaking hall is over 88 feet tall, allowing all movement of the grapes, must and wine to be accomplished by gravity, without the use of machinery or pumps.